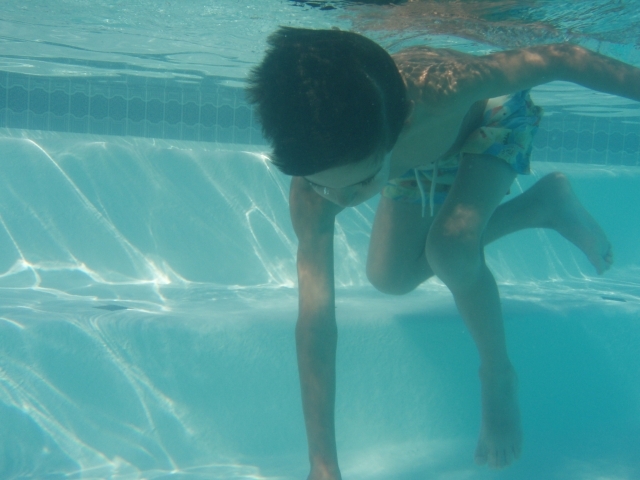 Nicholas has always enjoyed summers at the swimming pool, but in 2008, he developed some really amazing swimming skills. He is mostly self-taught, though he has gotten some informal instruction from Cathy and at the Bright Horizons summer day care program. 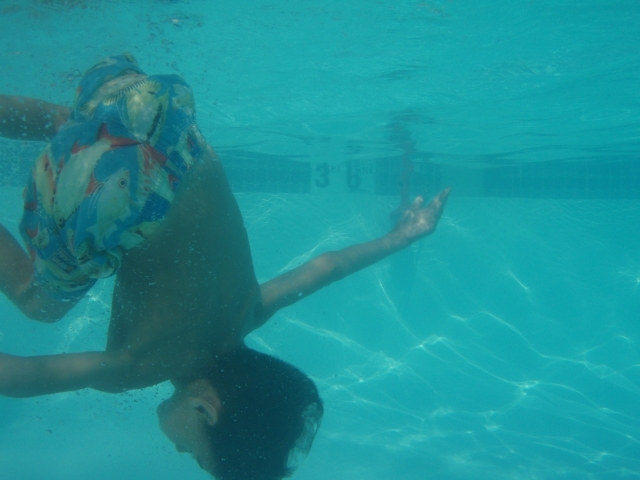 What's truly amazing to me is how easily he glides under the water. Here are some pictures. The first three pictures were taken in June 2008 and the last two in July 2008. 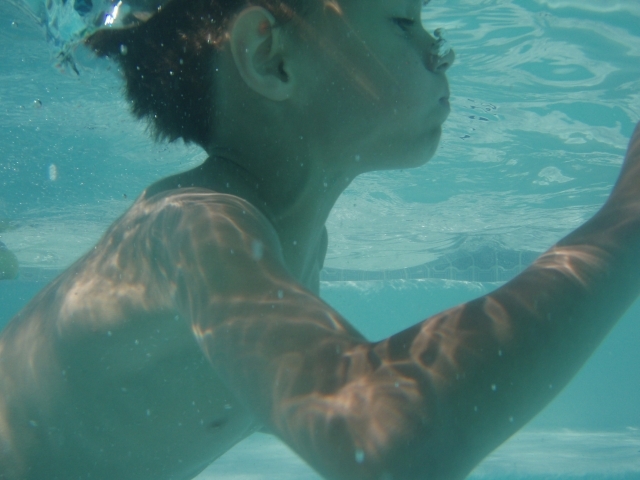 If you're curious, my camera is an Olympus 720, which can be taken underwater up to ten feet deep. 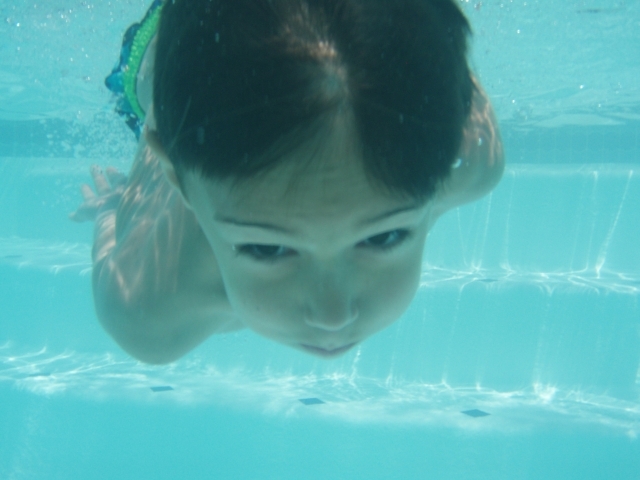 I don't go underwater as easily as Nicholas does, so I just held the camera underwater and pointed in the general direction hoping that I would get Nicholas in the frame. Only one out of every ten pictures came out, but the ones that did look pretty good.